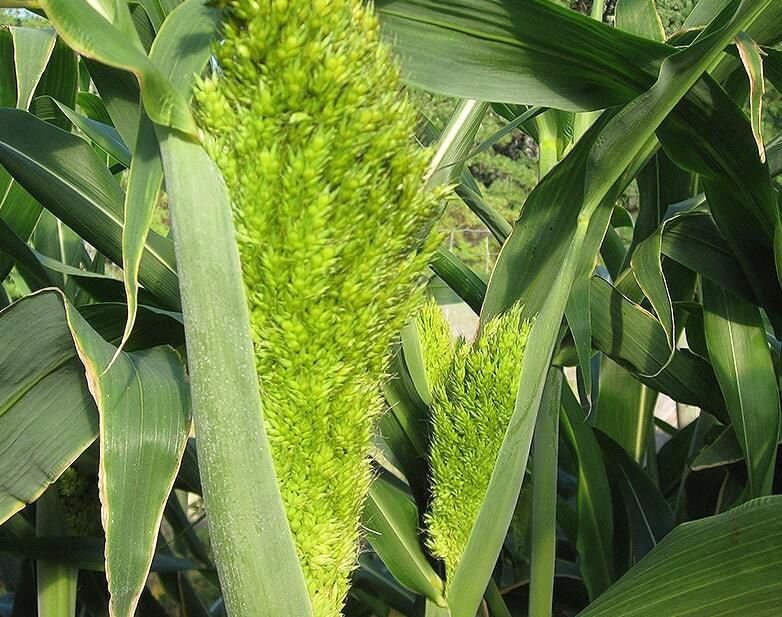 This relative of corn has the same needs: sun, good soil, lots of water. It looks like corn, too, until it flowers, when it holds a torch of seeds above the strappy leaves. The seed heads are a powerful beacon for small birds preparing for fall migration. Plant sorghum where you’ll be able to watch the show as the birds arrive. Or harvest before the wild birds do to use as a special treat for chickens (or for people – seeds can be ground into flour). 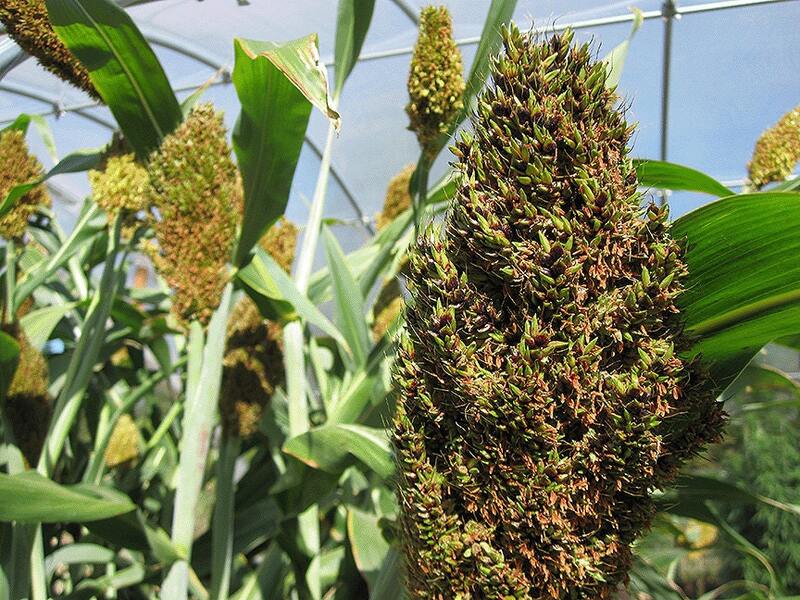 Some sorghums are grown for the sweet juice that can be pressed from their stalks, while other varieties, like this one, have been developed for their nutritious seeds. We like this black-seeded variety because it’s easy to tell when the seeds are ripe. 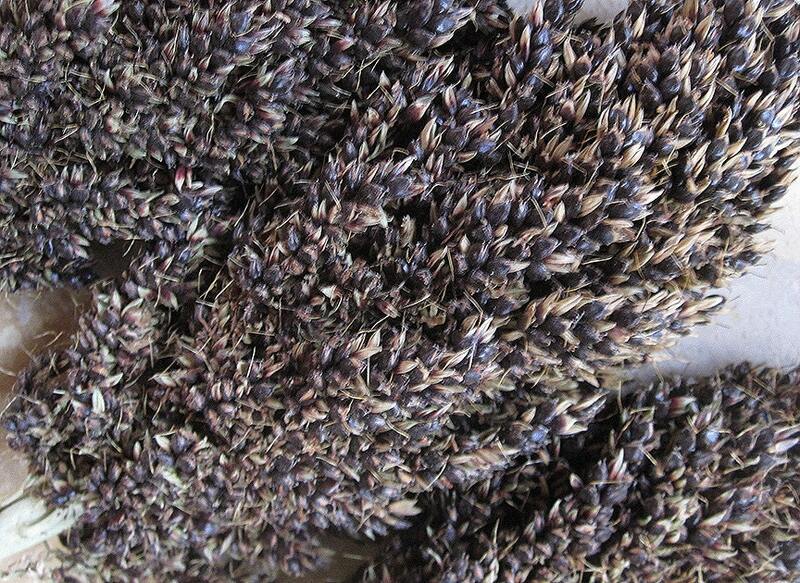 The seeds start out tan and turn shiny black just as they ripen. Culture: Direct sow late spring in full sun, 8-12 inches apart. Sorghum appreciates fertile soil and lots of water.